30 Mar :In one of the biggest hijacking ever, Somali pirates on Tuesday captured 8 boats taking nearly 120 Indian sailors hostage off the Kismayo coast. The sailors were on their way from Somalia to Dubai. The abducted sailors belong to Saurashtra and Kutch region of Gujarat. Hijacking of ships has been rampant around the coast of Somalia. 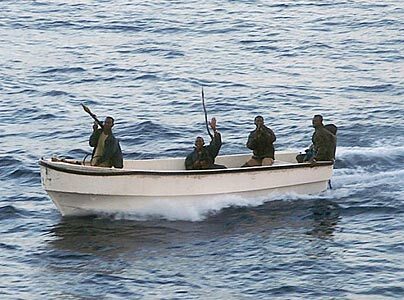 Somali Pirates in the past at many times attacked Indian ships and taken Indians crew members hostage. On 23rd December last year, an Indian ship, MT Agrasen, was attacked off the coast of Maharashtra. But the crew managed to fight off the attack.